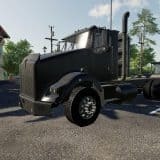 It has been a while since FS17 has been introduced and the community of modding is trying out what are the limits of this version and which creative solutions they can implement. 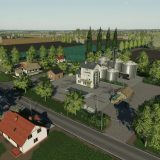 I can definitely say that FS17 is a surprising edition with various additional options. 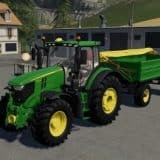 Especially the fact that many modifications from FS15 have been implemented. For this reason, I believe that Giants team took into considerations what FS players were interested in. That is why I have decided to share my insights on Farming Simulator 2019 and help to improve the coming version of the game. Of course, my goal is not to navigate game creators what they should work on, I am only interested in providing some useful information for the team of FS 19. All kinds of feedback are welcome. The feature which is common for many vehicles mods is In-Character and In-Cab controls, which were missing in the vanilla version. I can’t say that I use these functions often, but certainly they are a good way to make a game more realistic. As it is a Simulator according to its name, the more realistic it looks, the better. On the other hand, IC controls is not something that is required by all gamers, therefore it shouldn’t take much developers time. Of course, functions such as opening door or steering wheel are not something tangible for the gameplay, although it helps to feel a game as realistic. This is why these little additional IC controls can be some extra fun for those who seek the ultimate realism in FS 2019. Despite there probably would be created plenty of Farming Simulator 19 mods to implement weather conditions in the game, this is sometimes seeming to be too complicated function for mods. 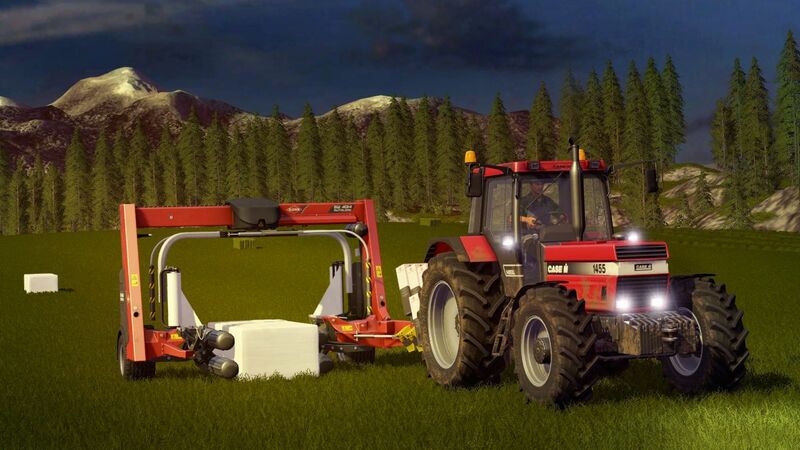 I wouldn’t like to sound rude – I am sure that there will be plenty of interesting Farming Simulator 2019 mods to try out. However, it feels like that it’s time to add seasonality function to LS 2019 because the current day and night cycles are simply not enough. Even some weather changes exist, it doesn’t not have any tangible effect. In the best case, climate should start to switch after some time and this should have an impact not only visually but also on the growth speed of crops or prices. In this way, a player could choose which crops should be plated, what to sale and which types it is better to keep for a while. Maybe the best option would be even to give up on crops for a while and pay more attention to livestock or logging. The example could be wheat, which normally are being grown in summer and sold in autumn-winter seasons. If this functionality was implemented in Farming Simulator 2019, a player would have a lot of freedom for decision making. For instance, a farmer could sell everything out and get less money but instantly or keep it for later and increase the price. In this way, more types of crops should be introduced in FS 2019, especially the ones which grows even in colder weather conditions. There should also be special equipment for the unexpected conditions, such as drought or rainy seasons. Talking about the logging, the main drawback from my perspective is ability to cut trees even in the fields that you don’t own. I think it would make more sense, if in FS 19 a farmer would need to buy a territory of forest (on the sides or hills) and plant it with the trees. This type of land should be cheaper than normally but you wouldn’t be able to cultivate it. It would be good idea that a farmer gets some territory of forest in the beginning and then it’s up to the player, if he or she wants to keep it, replant it or even buy a new one. I wish we will have an option to choose the related category at the beginning in Farming Simulator 19. There should be various types of game available, such as with a focus on logging when you get a decent forest land or livestock mode when you get a start package of animals and basic equipment. I believe that FS 2019 mods would add even more interesting features to these modes. What I have noticed, is that currently missions are way too profitable. There should be an option to do everything individually with personal machinery in LS 2019. For instance, if your harvester is completed, the AI help could assist in unloading the crop. There should also be a particular price for working power for each type of work, such as harvesting, spaying or sowing. Of course, the harvester with more capacity should accomplish the task faster.